Off the usual tourist track, Beng Mealea also known as the Jungle Temple, provides a fantastic opportunity to experience an Angkor temple as it would have been for hundreds of years; overtaken by jungle, visited only by birds, and local children playing games in the ruins. The jungle temple of Beng Mealea. 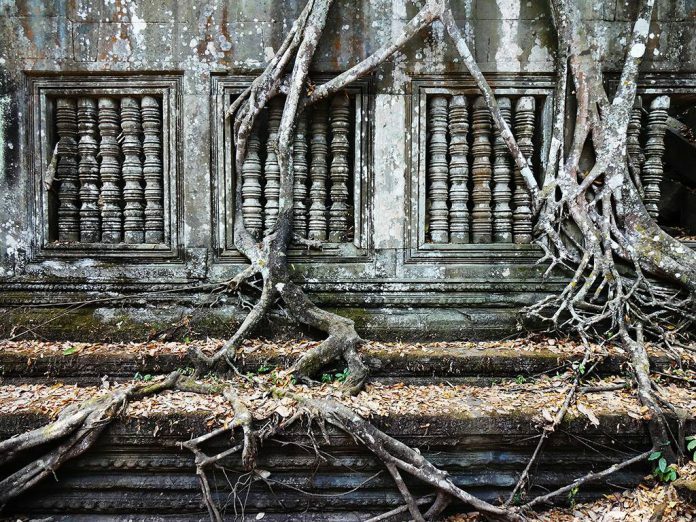 The jungle temple of Beng Mealea (meaning “lotus pond”) is largely unrestored, its walls and towers burst apart with trees and creepers. While a wooden walkway guides visitors round the tumble-down structure, more able explorers can clamber through rubble-filled corridors and make their own discoveries in the ruins. 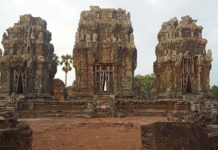 The temple is around 70km from Siem Reap. For years the temple was difficult to access due to the condition of the roads, but now it is a relatively easy journey. 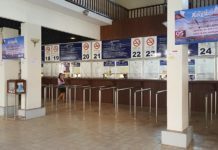 A private taxi takes around 1 hour 30 minutes from Siem Reap, and, with a 2 hour wait at the temple should cost between 45-55USD for a return journey. Requesting the driver to take the small roads, away from National Route 6 also gives a lovely quiet drive through Cambodian countryside. It is also possible to take a tuk tuk for a Beng Mealea tour however this can take an extra 30 minutes/hour without a particular saving on cost and a definite difference in comfort! 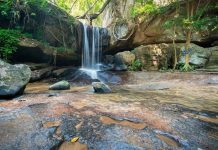 If you have the whole day to explore some of the more remote Angkorian sites, then you may want to combine a visit to Beng Mealea with a drive up to Koh Ker, or to Kulen Mountain. 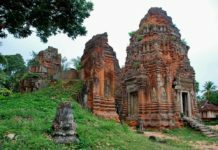 Another alternative is to return from Beng Mealea via National Route 6 and stop off at the Roluos group of temples on the way back to Siem Reap. 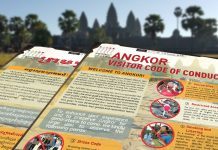 Beng Mealea is not included in the Angkor Temple ticket – it costs an extra 5 USD which is payable at the ticket office and entrance gate about a kilometer away from the temple. There are also clean toilets just beside the ticket office – the site itself doesn’t have any dedicated toilets. Beng Mealea tour guides: There are some official, and some unofficial tour guides who base themselves at the temple. You may find some of the enterprising local children keen to become involved as well. 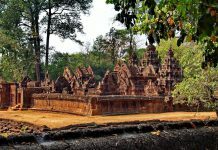 As little is known about the history of the temple, and there are few complicated friezes, a guide may not add as much to the experience as at some of the other Angkorian temples. Restaurants: There are a few small restaurants serving Khmer food outside the entrance to the temple. These are somewhat overpriced for the standard of food offered, but you pay for the convenience as there is nowhere else to buy food in the area. While some visitors may prefer to travel back to Siem Reap for lunch, there is also something to be said for supporting the local economy surrounding the temple and stopping for an iced coffee or some bai chas (fried rice) before making the return journey. Places to stay: Beng Mealea is part of a small village, but there are no official guesthouses or homestays. However, enquiry at a local restaurant may be able to secure you a blanket and a mat on a wooden floor in someone’s home. 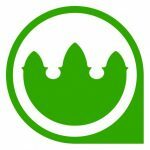 Expect to pay up to $5 per person per night, although bargaining may be possible. The temple can be visited at any time of day but the busiest time is between 9am and 11am, especially between November and February, so those looking for a more peaceful experience may want to avoid those times. A Beng Mealea tour is best timed at sunrise and the two hours after, when the light is magical, the birds are stirring, and the site virtually deserted. 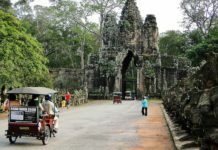 Little is known about the history of the temple and the attraction of a visit really lies in the atmosphere of mystery and exploration, rather than the historical and architectural intricacies of some of the other Angkorian sites. As a Hindu temple, it is thought to have been constructed around the same time as Angkor Wat. Due to its similarity in structure to Angkor Wat, Beng Mealea is thought to have been a prototype for the great temple. It is a large site, facing the east, and encircled by a wide moat. It is built of sandstone, although the carving is simple and limited to certain areas. These may be lintels, platforms or cornices decorated with a single frieze – much more understated than the imposing faces of Bayon, or the elaborate craftsmanship on display at Banteay Srei. In addition, many of these ornate features are found strewn across the temple floor where walls and columns have collapsed. This in some way can add to their charm as visitors may literally stumble upon them while exploring the temple. 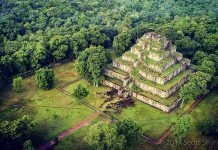 The temple was likely the center of a town, and it lies on the ancient royal highway which leads to Preah Khan, in Preah Vihear province. The site was cleared of landmines in the last decade so has only recently become a viable tourist attraction. The temple can be a little confusing to explore due to its dilapidated state. There are three galleries which enclose a central sanctuary. Structures referred to as libraries are found on the right and left of the main causeway. 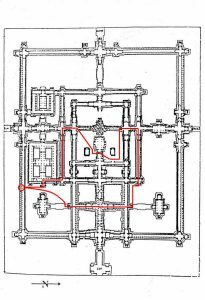 The picture on the left depicts a floor map of the temple, based on a drawing by Léon de Beylié, one of the early Western visitors of the Angkorian temples in the early 20th century. 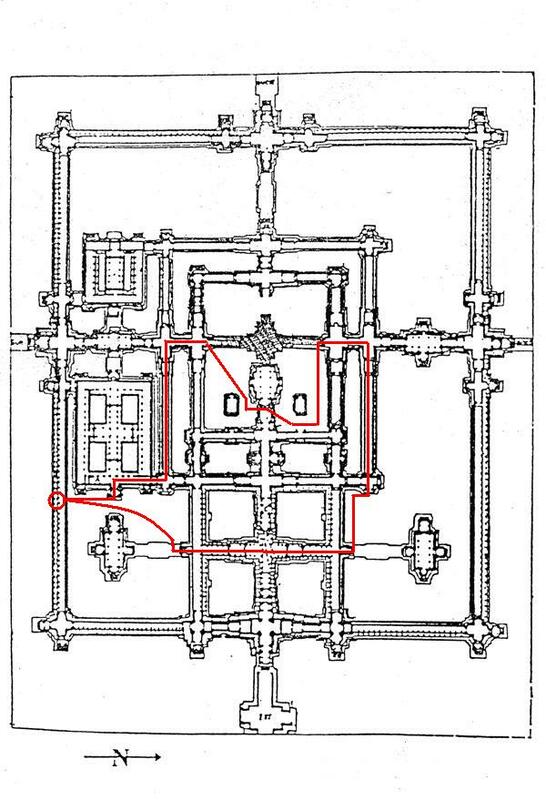 The red line shows the wooden walkway, used to visit the temple.